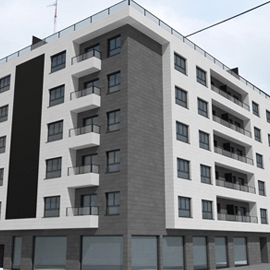 Great variety of residential in Erandio - Bizkaia. A good quality residence in an exceptional environment, located in the city center, different sizes and distribution adapted to your needs. Residential area is 250 meters from the metro station. Residential of 1, 2 and 3 rooms and penthouses.